Transporting Case trucks and/or equipment is a common request we receive at We Will Transport It. Because of the general size and weight of construction trucks and equipment, most would be considered overweight or oversize load. Although daunting for some shipping companies, we have the resources for hauling Case equipment and trucks efficiently. 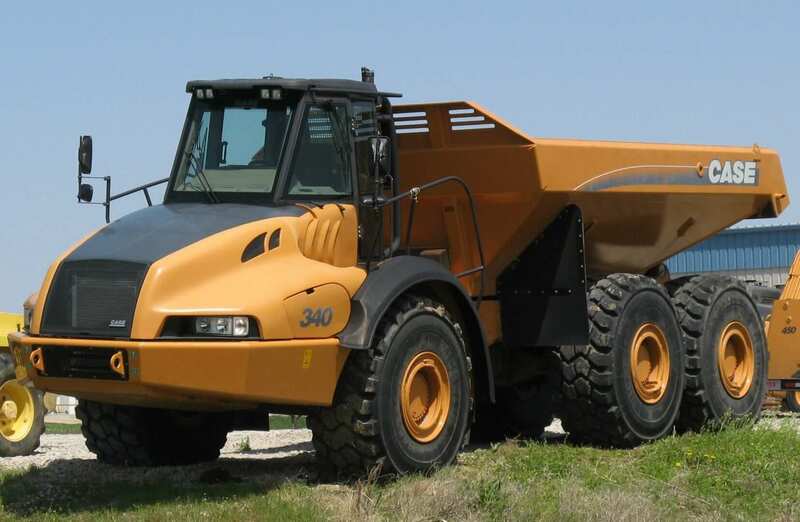 When it comes to transporting construction equipment, you can count on us! Case Construction Equipment (or just Case) is, globally, the fifteenth largest manufacturer of construction equipment. They are a CNH Global construction equipment brand and are produced in part or whole in about six factories in the United States and many other factories globally. We at We Will Transport It have the experience and resources to move any of your Case Construction Equipment. As earlier stated, because of the general size and weight of construction equipment, they are considered an oversize or overweight load. However, oversize or overweight loads do not scare us. Amount of desired construction equipment to be shipped. Name, make, and model for each construction vehicle. Height, weight, width, and length of all vehicles. Once we get the previous information, we can begin the process of determining the best route of travel, calculation permit and insurance costs, the carrier needed for each construction vehicle, and the number of drivers and transport vehicles needed. We have experience transporting Case trucks and equipment on the following trailers: flat-bed, low-boy, removable gooseneck, step-deck, double-drop, hot-shot, specialized, and extendable trailers. After determining the best transportation method possible, we can then provide you with a free quote. The shipping quote includes the price of all tolls, insurance, and permits needed to complete the trip. We at We Will Transport It have an excellent team of professional insured, bonded, and licensed drivers that have experience transporting Case trucks and equipment. If we are the best shipping company for the job, we will transport all vehicles with extreme professionalism and safety. However, if we are not the best shipping company for the job, we will provide you with a list of shipping companies that might better fit your needs. We will compile of list of transport companies that specialize in hauling Case equipment and provide you with a quote from each company. With all this information, you can choose a shipping company that meets your transportation and price needs. After you pick your desired shipping company, We Will Transport It will facilitate communication between you and the shipping company of your choice. You will know all the details of the shipping process and will feel secure in shipping your Case Construction Equipment with a transportation company you can trust.